Legendary boxer Muhammad Ali is reported to be critically ill and it is feared that he could be dead within days, his brother has warned. 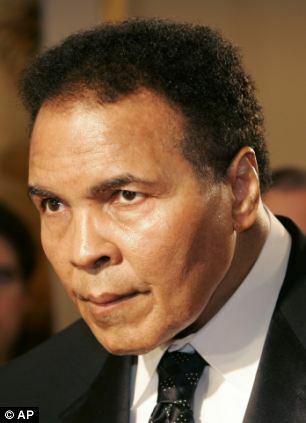 Rahman Ali said the former heavyweight champion cannot speak and no longer recognises him. Rahman fears his 71-year-old brother - known as The Greatest - may not survive the summer. He told The Sun: 'He's in a bad way. He's very sick. Ali was diagnosed with Parkinson's disease in 1984 but remained active for many years and made a moving appearance at the Atlanta 1996 Olympic Games where he lit the flame. 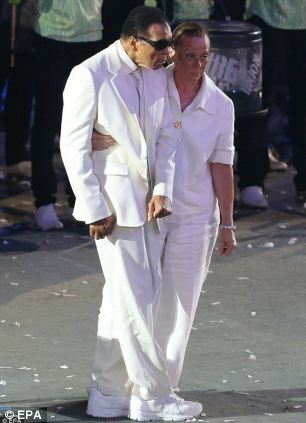 However, he was seen looking particularly thin and frail at the London 2012 Olympic opening ceremony where he was helped across the stage by wife Lonnie. Rahman has accused his sister-in-law, who has been married to Ali for 26 years, of refusing to let the family visit the ailing champion. Rahman, who was also a professional boxer, said he last saw his brother in July at the Sports for Peace Gala in London and is only allowed to speak to him over the phone. Ali's most recent public health scare was December, 2011, when the champion was taken to hospital after falling unconscious. 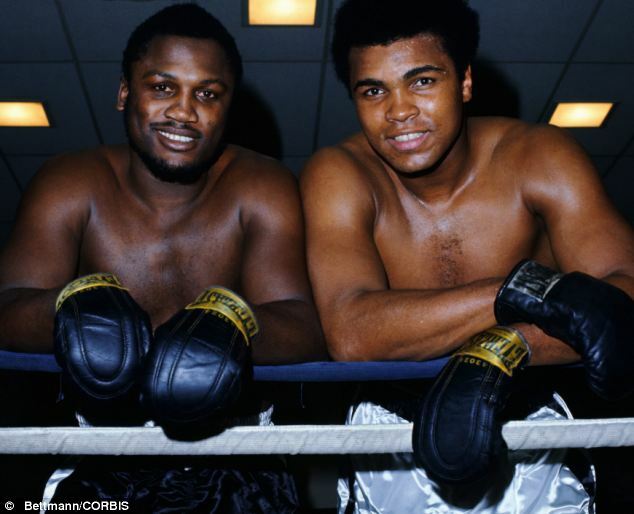 Emergency services were called days after Ali made a frail appearance at the funeral of fellow boxing great Joe Frazier. He was treated for dehydration after collapsing at his 6,000 sq ft estate in Arizona. Rahman told The Sun from his flat in Louisville that before Ali's health deteriorated, he said he was in no pain and was proud of his achievements. Rahman, who has suffered recurrent strokes following his own boxing career, said he feels distraught at being cut from his brother's life, who he compared to Jesus, and who he says he loves above all others. Father-of-nine Ali wants a Martin Luther King quote on his gravestone, according to Rahman. The quote is: 'I tried to love somebody, I did try to feed the hungry. The brothers, born Cassius and Rudolph Clay, grew up together in Louisville, Kentucky.